Living on an island made up of 5 volcanos, one of which is constantly active, I was always aware that I was walking on land that was in the process of active creation. The energy on the Big Island of Hawaii is palpable. Here’s the thing about creation… It can be aggressive, violent, painful. Think about the birth of a baby. But the physical pain is not what lingers; the thing created / birthed is. 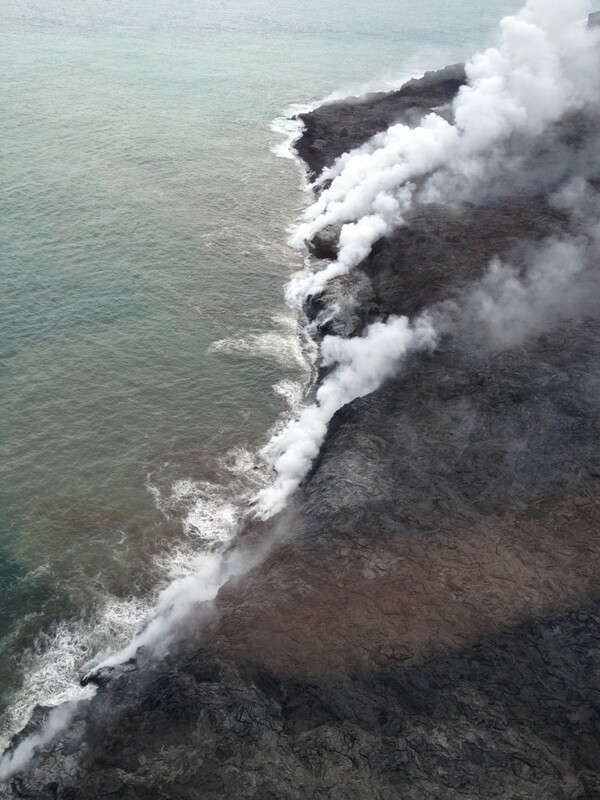 This is a photo of lava from Kilauea meeting the sea, a photo of new land being created. Creation may not be easy, but it is spectacular.